Positions on ballot papers for the 19 March Redland City Council elections were determined by drawing names out of a box this morning. District Returning Officer Harold Guy presided over the ballot draw held in front of many candidates and their representatives at the Redlands Performing Arts Centre. 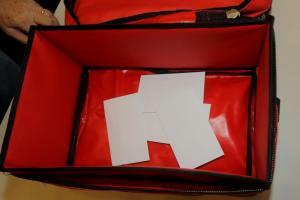 For each contest, positions on the ballot paper will be the order in which candidates names were drawn out of a red ballot box. The results of each draw are set out below. 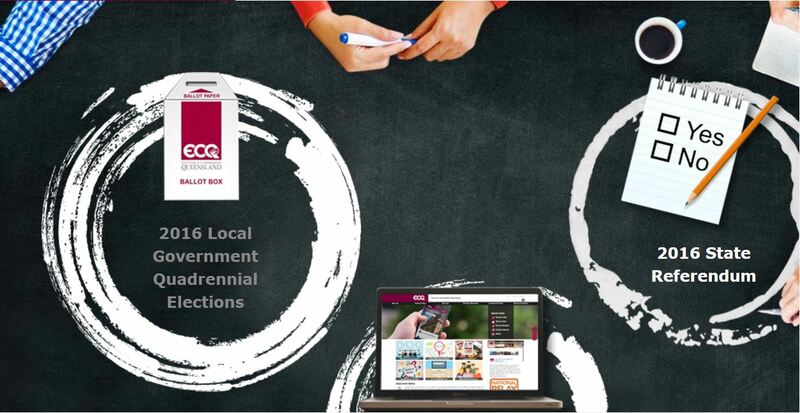 Maps of each councillor division and the names of candidates for Mayor and each councillor position are available on the Electoral Commission of Queensland (ECQ) website. South-east Queensland must find 700,000 homes for an extra 1.4 million people within 15 years, Australia’s pre-eminent infrastructure body says. On Wednesday, Infrastructure Australia said if no key infrastructure projects were built in the south-east, the cost of waiting in traffic for commuters, small, medium and large businesses will escalate from $1.9 billion in 2011 to $9.2 billion by 2031. Queensland’s population will grow to 6.4 million and south-east Queensland’s population will grow by 1.4 million in 15 years. That is the blunt warning to Australian governments and industry organisations from Infrastructure Australia as it begins a major campaign to persuade governments they must commit to big infrastructure projects. In addition, Engineers Australia Queensland infrastructure spokesman Chris Warnock, who in 1993 warned a second rail crossing of Brisbane River was needed by 2015, said successive Queensland state governments had been “missing in action” over infrastructure for the past “10 to 15 years”. “It doesn’t matter who the government is,” Mr Warnock said. “The emergence of a lot of major investment by Brisbane City Council in infrastructure (Clem7 tunnel, Go Between Bridge, Airport Link and Legacy Way tunnel) I would suggest is a direct consequence of the missing-in-action of the state governments,” he said. On Wednesday, Infrastructure Australia identified “solutions” to Queensland’s share of the national problems of congestion, population growth and transport infrastructure. 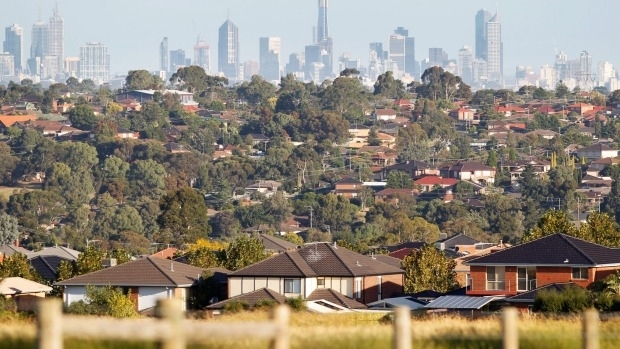 The report supports “higher” density – seven to eight storeys – along transport routes, not high density at all costs and notes it is cheaper to bring water, transport and electricity to inner-city units ($26,500 per unit) than to a outer-Brisbane block ($69,000). Infrastructure Australia chief executive Philip Davies hailed the research as “groundbreaking”, based on the project research as it was in 2015, new modelling and new congestion costs. Mr Davies said the report recognised Australian capital cities need to look at 21st-century solutions. “Australia’s largest cities should start planning for integrated, timetable-free, ‘turn up and go’ train and bus services – similar to that of New York, Singapore, London and Paris,” the report says. “What we are going to release is a range of ‘solutions’, that is the physical future projects, but also reforms in how we do things and how we do things using the markets,” Mr Davies said. Mr Davies said south-east Queensland would take the lion’s share of the population increase. Ipswich Motorway – Rocklea to Darra section. Pacific Motorway M1 – Mudgeeraba to Varsity Lakes. Cross River Rail – extra rail line across the Brisbane River because existing rail bridge gets congested from 2016. Freight rail access to the Port of Brisbane. Gold Coast light rail stage two. Gateway Motorway/Pacific Motorway merge upgrade project. Bruce Highway progressive highway upgrades. Beerburrum to Nambour rail upgrade – widening the single rail section. Gladstone Port land access improvements. Mt Isa to Townsville new rail line. Lower Fitzroy River water infrastructure – raising the Eden Bann Weir on the Fitzroy River. Upgrading 4.7 km of the Cunningham Highway from Yamanto to Ebenezer west of Ipswich. Chris Warnock welcomed the report identifying the federal government must have a “a more active role” in the “governance of cities”. “That is fantastic. That is a huge shift under Malcolm Turnbull, because under Tony Abbott and under John Howard before him, it just did not exist,” he said. However Brisbane’s key project, the Cross River Rail has slipped from a High Priority “Project” to a High Priority “Initiative” because the federal government was still waiting on the new business case from the Palaszczuk government. Mr Warnock said the slide in Cross River Rail’s priority was simply a tragedy of poor planning. “By 2011 Cross River Rail was the highest national priority project on Infrastructure Australia’s list,” Mr Warnock said. Sydney and Melbourne now also have similar underground “metro rail” projects to Brisbane, the Infrastructure Australia list shows. With the Bureau of Meteorology predicting possible severe thunderstorms for large parts of southeast Queensland over the coming few days, we’re reminding everyone to make sure they’re storm ready. Avoid driving, walking or riding through flood waters. As always, stay tuned to bom.gov.au for the latest weather forecasts and warnings. Water play may become a feature of Redlands parks in the future following a decision by Redland City Council today to investigate options for installing water-based play equipment in the city. Division six Councillor Julie Talty today called for a briefing paper about installing water-play equipment in playgrounds, citing the infrastructure was popular with local families, who currently visited water-play parks in surrounding cities. “Imagine if we had water-play equipment in our city, interactive water features that would rival the beautiful whales at the Wynnum Water Park or the fantastic water fountains at Darlington Parklands, Yarrabilba,” she said. “Throughout the school holidays, parents have travelled to these popular parks for their children to enjoy free water-based playgrounds and they’re questioning why we don’t have such community facilities locally. I agree with them – why not in the Redlands? A briefing paper about water-based play facilities in neighbouring cities will be returned to Council for consideration at a future workshop. Cr Talty said Council would use the information to make an informed decision about the feasibility of pursuing the idea further. “Modern playgrounds range from simple, prefabricated ‘plug and play’ designs to elaborate, custom-themed, iconic structures and it’s important we know the options before pursuing this idea further,” she said. “From the River Heart Parklands in Ipswich to Brisbane’s Rocks Riverside Park and the Redcliffe Lagoon, the number of new and refurbished water-based playgrounds in neighbouring cities has grown in recent years. “The fact that Redlands families are prepared to travel to visit these parks is testament to the popularity of this type of infrastructure. The Redlands will benefit from nearly $116 million worth of community improvements under an infrastructure agreement for the $1.4 billion Toondah Harbour project signed today. Redland City Mayor Karen Williams said a wide range of community infrastructure would be provided to the City at no cost to ratepayers as part of the agreement with the Walker Corporation. The project is expected to provide more than 1000 construction jobs a year and 500 jobs a year on completion of the project. “This project will generate an estimated $2.3 billion in economic activity in the region, delivering a modern gateway to Moreton Bay and North Stradbroke Island, plus sewer, road and ferry terminal parking upgrades, provision of park and other open space enhancements and waterfront boardwalks,’’ Cr Williams said. “This will be a place for all Redlanders, with greater public open space and access to the waterfront and new public foreshore parklands. “It also will offer Redlanders a range of new residential options in a vibrant tourism and retail precinct which will also benefit our Cleveland business centre. The Infrastructure Agreement will be made public in the New Year. Click report cover above to download report. Redland City Council today adopted a new Financial Strategy 2016-2026 that predicts a decade of strong financial performance and budget operating surpluses. Mayor Karen Williams said the strategy also predicted ongoing annual CPI-linked rates increases that would continue to ease cost of living pressures on residents. “This is the financial strategy our residents have told us they want – it is practical, fair and, most importantly, responsible,” she said. “It continues to take us on the journey we began with election of the new council in 2012 when we stopped spending more than we could afford and started trimming our costs, identifying efficiencies and restricted rates imposts on residents. “This has resulted in Council being in its strongest financial position for years. We have good cash balances and low household debt – a position that makes us the envy of other councils. “We have delivered two straight budget surpluses after 15 years of deficits and are well on the way to a third this financial year. “The good news now is that under our new Strategy residents can look forward to a decade of balanced budgets and now customary low rate rises. “This has not always been the case. We have taken the tough decisions at the same time as ensuring our responsiveness to our residents has improved, as has our service delivery. Low amount of borrowing and the costs of servicing these debts within relevant measures of financial sustainability. “Our long term financial projections include total operating revenue rising from $254.7 million in 2016-17 to $345.4 million in 2025-26,” Cr Williams said. “Total income for the same period is predicted to increase from $267.4 million in 2016-17 to $355 million in 2025-26. “Most pleasing is that for every year our expenses are predicted to be significantly less than income.